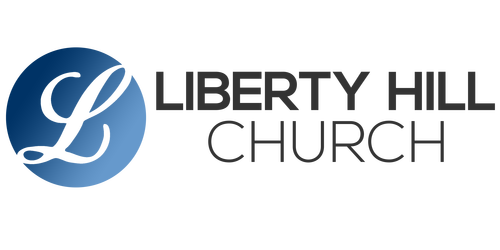 What is it like attend church services at Liberty Hill? If this is where you expect us to tell you how perfect our church is, you're in for a surprise. We'll be the first to tell you that our church is made up entirely of people with flaws, struggles, and imperfections. We worship together because we've found this to be a great place for imperfect people like us to experience a perfect Savior. So, we don't try to make people become like us, but rather we try to help one another become like Jesus. It's important to us, then, to create a welcoming environment of grace and encouragement, not shame and guilt. We don't care what you wear, what you drive, or what candidate you voted for. But we do care about where your life is going, so we do our best to present the grace and truth of Jesus Christ in ways that are practical and relevant to where you are right now. The principles and truths that Jesus taught and modeled have the power to change lives, and He is the center of all our hope, and the foundation of all that we do and teach. We want you to have an idea of what to expect when you come by for a visit at Liberty Hill. Whether you attend the 9:00 AM or 10:30 AM service on Sunday morning, we work to provide the same experience. All you have to do now is come as you are and find out more for yourself! How Can We Help Your First Visit Go Well? If you have a question or a special need that we can help with, take a moment and let us know. We'll gladly do our best to make your first visit with us a positive experience!